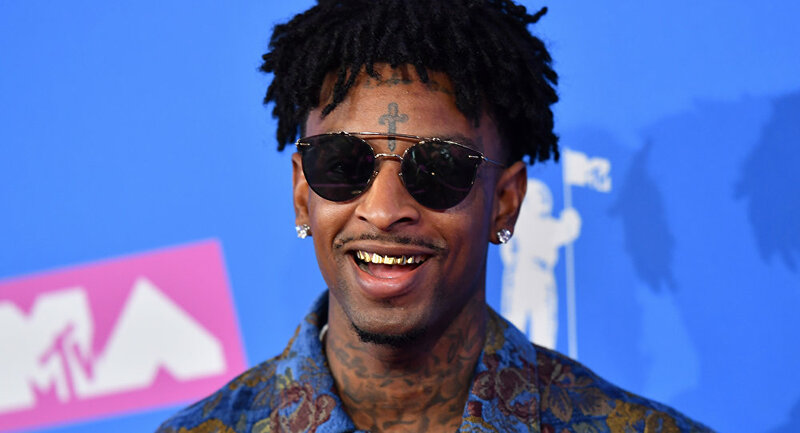 UK-born rapper 21 Savage (real name Shéyaa Bin Abraham-Joseph) has been released on bond after spending a week in detention following his apprehension by US Immigration and Customs Enforcement (ICE). "21 Savage asked us to send a special message to his fans and supporters — he says that while he wasn't present at the Grammy Awards, he was there in spirit and is grateful for the support from around the world and is more than ever, ready to be with his loved ones and continue making music that brings people together," his legal team said in an interview. The rapper was arrested early in February, with authorities saying his visa was expired. According to a TMZ report, the singer should have been allowed to bond out the day he was arrested, and it is unclear why he had to spend an entire week in detention. "He was neither a flight risk nor a danger to his community, which is the standard for holding someone in jail pending a deportation hearing," TMZ writes. The report says his deportation hearing is pending, but the date has not yet been disclosed. A number of celebrities have organized a massive social media campaign, titled "21 Days You Could Be Detained If You're Undocumented in America," in support of Savage. Stars like Kendrick Lamar, Post Malone, DJ Khaled, Jesse Williams, SZA, J. Cole, T.I., Future, Mike Tyson and America Ferrera lent both their voices and faces to the project, TMZ reports.